Cornus alba 'Sibirica' is a deciduous shrub with dark green oval leaves and small creamy white flowers in late spring. 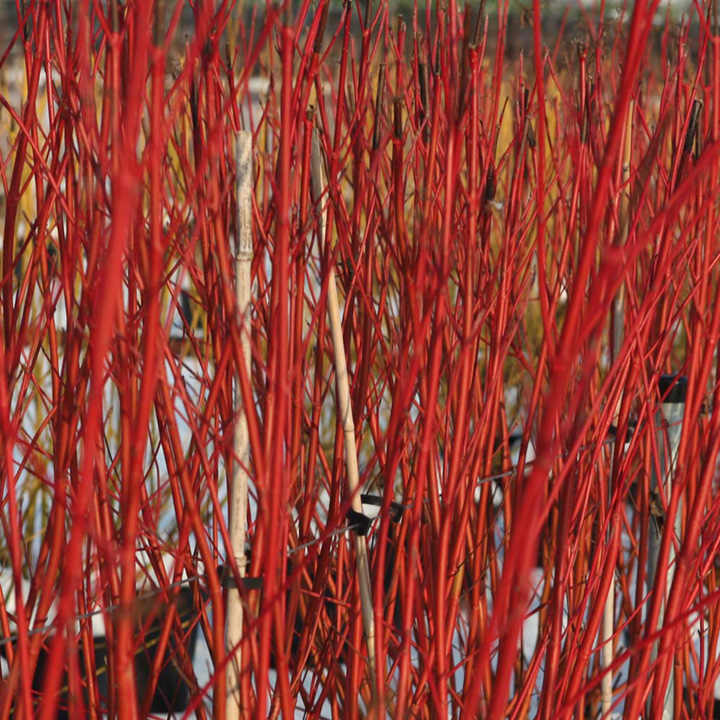 In winter it adds a welcome burst of colour after the leaves have fallen and the bright red bare stems are revealed. It will grow in most soil conditions but looks best in full sun. Sometimes referred to as Cornus 'Westonbirt'. RHS Award of Garden Merit winner. Height 200-250cm. Supplied in a 7.5-10 litre pot. Cornus alba 'Sibirica' is a deciduous shrub with dark green oval leaves and small creamy white flowers in late spring. 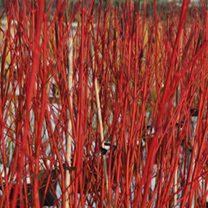 In winter it adds a welcome burst of colour after the leaves have fallen and the bright red bare stems are revealed. It will grow in most soil conditions but looks best in full sun. Sometimes referred to as Cornus 'Westonbirt'. RHS Award of Garden Merit winner. Height 200-250cm. Supplied in a 3 litre pot or 7.5-10 litre pot. Ideal for beds and borders, patio pots and containers. Best planted in full sun or partial shade in well-drained or moist but well-drained soil.